The Point Pleasant SAR recently gave a flag certificate to Farmers Bank in recognition of their proper display of this nation’s flag. Those pictured are, from left to right, Farmers Bank Representatives Erin Krawsczyn and Brenda Darst, SAR Member John Sauer, Farmers Bank Officer Mark Groves, and SAR Member Ed Cromley. 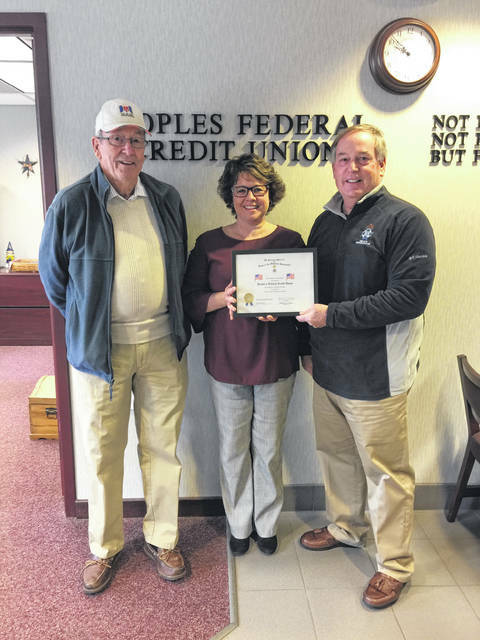 The Point Pleasant SAR recently gave a flag certificate to the Peoples Federal Credit Union in recognition of their proper display of this nation’s flag. Those pictured are, from left to right, SAR Member John Sauer, Credit Union Branch Manager Jenny Shirley, and SAR Member Ed Cromley. 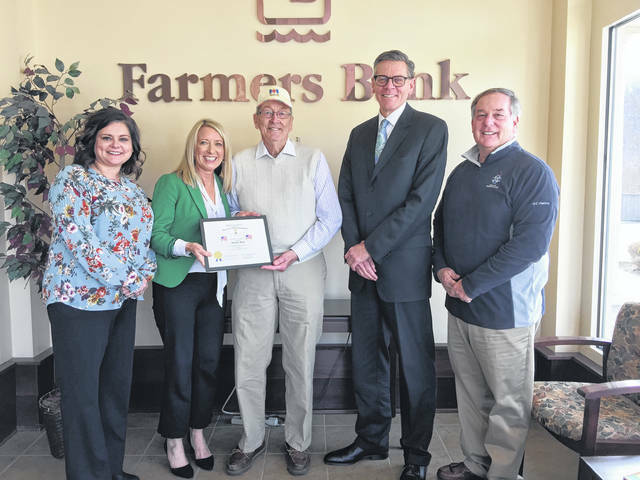 https://www.mydailyregister.com/wp-content/uploads/sites/24/2019/03/web1_FlagCert2-1-.jpgThe Point Pleasant SAR recently gave a flag certificate to Farmers Bank in recognition of their proper display of this nation’s flag. Those pictured are, from left to right, Farmers Bank Representatives Erin Krawsczyn and Brenda Darst, SAR Member John Sauer, Farmers Bank Officer Mark Groves, and SAR Member Ed Cromley. https://www.mydailyregister.com/wp-content/uploads/sites/24/2019/03/web1_FlagCert2-2-.jpgThe Point Pleasant SAR recently gave a flag certificate to the Peoples Federal Credit Union in recognition of their proper display of this nation’s flag. Those pictured are, from left to right, SAR Member John Sauer, Credit Union Branch Manager Jenny Shirley, and SAR Member Ed Cromley.